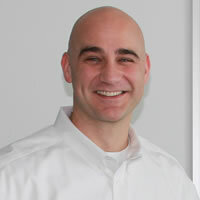 Rob Wesley joined the Virginia Lottery in 1998 as a member of the software development team. He has held numerous positions in several departments over the past 20 years including Director of Sales and Marketing, Director of Sales, and for the past year as Director of Digital where he has defined, created, and started to build the Lottery’s new Digital Department. During his time in Sales, Rob has worked with major national and regional retail accounts including WalMart, 7-Eleven, Food Lion, Wawa, and Sheetz. Prior to joining the Virginia Lottery, Rob spent 10 years in the grocery business for a regional chain, being promoted through the ranks to Store Director where he was moved from one retail location to another to turn-around under-performing stores. He was then promoted to the Division Headquarters office where he worked on new store openings, store remodels, and increasing sales and profitability in stores throughout Virginia and North Carolina. Rob is a graduate of Virginia Commonwealth University, received an honorable discharge from the Virginia Army National Guard, and is the proud father of twin 17-year old boys.